I have recently added my first available to buy pattern to the shop. 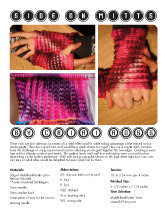 i had some help from Jen who very kindly designed the layout for me and made the pattern ready for sale. I think she did an amazing job! 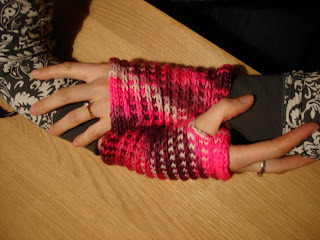 The mitts are knit sideways for a unique fit and are a fun little knit needing only a small amount of yarn. (Yarn used in the pattern is my worsted weight merino in colour Bubblegum) The knitting itself is pretty easy, I use a provisional cast on which is a great little skill to learn I think. The pattern is sent to you via email in PDF form after payment has been made. Anybody who would prefer to buy a paper copy must contact me to arrange that as I understand not everybody has access to a printer. I have also made up kits too with a copy of the pattern (I will send you the PDF for backup purposes and a paper copy), enough yarn and some sts markers as a little extra. Click on the related pictures to be directed to the relevant page in my shop. Its never too late to say thank you.